Students at Touchstone Preschool in both Beaverton and Tigard released thousands of ladybugs Friday for Earth Day. 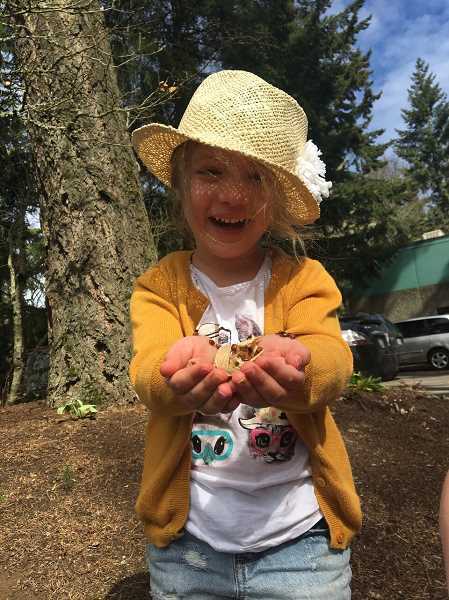 Students at Tigard's Touchstone Preschool celebrated Earth Day by releasing thousands of ladybugs throughout the schoolyard and back into the environment on plants and trees on Friday. Leading up to Earth Day, students learned that ladybugs serve as a natural pesticide by feeding on insects that could otherwise harm the health of gardens, trees and shrubs. Students at the school dressed for the occasion, wearing red like ladybugs as well as green for Earth Day. Prior to the ladybug release, students also created crafts and read an Earth Day story. "Earth Day is such a great time to introduce important concepts such as recycling, planting and how to care for our earth, as it is the only one we have. The students enjoyed releasing the ladybugs into our school garden to help keep our plants healthy," said Tigard Touchstone Preschool Principal Elise West. "They also learned many ways to celebrate Earth Day each day during the week in class."